The Auckland Pacific Stroke Prevention Project was established to address the very high rates of stroke in Pacific communities. The Auckland Pacific Stroke Prevention Project was established to address the very high rates of stroke in Pacific communities. It is supported and guided by a Pacific Steering Group, which is made up of members of the Pacific health sector. The project is led by Tai Faalogo. Promoting awareness and understanding of the relationship between salt, high blood pressure and stroke. Community engagement initiatives and presentations to groups to raise awareness of stroke and stroke risk factors. Resource development. Download copies of these resources below. Media engagement, including a range of radio interviews and a story on Tagata Pasifika. Workforce development aimed at stroke prevention and salt reduction, delivered in partnership with Pacific HeartBeat. If you are interested working with us to promote healthier lifestyles and happier Pacific communities, contact Tai Faalogo on (09) 526 2545, 027 505 1278 or tai.faalogo@stroke.org.nz. Or visit us in person at the Vaka Tautua Office, Unit 7 586 Great South Road, Manukau. The project is jointly funded by the Ministry of Health and the Stroke Foundation. Q: What is your background with stroke and how did you get involved with the Stroke Foundation? A: After working in the Public health services for over 14 years in various roles I was encouraged to apply for this role. The Pacific Stroke Prevention project started out of a concern from the Stroke Foundation that our Pacific communities’ awareness of stroke and stroke risk factors are low. We are having strokes at a younger age and experiencing poor outcomes post stroke. 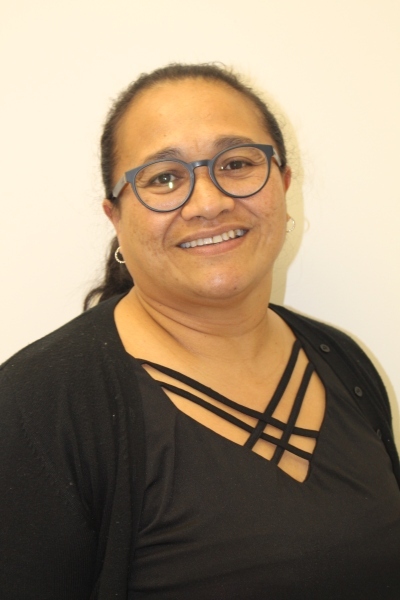 The report was done for the SF recommended to employ a health promoter to work in the community to raise awareness amongst Pacific peoples of what stroke is and the risk factors of stroke. Q: What are the most common issues/misunderstandings you’ve found in Pacific communities around stroke? A: Our communities’ understanding of what stroke is and the risk factors of stroke is very low. Knowing the signs of stroke and understanding that it happens in the brain. Also there is a misconception that once you have a stroke there is nothing you can do about it. Q: How have you addressed or solved that? A: We use media to get our key messages to the communities. We also work in collaboration with other services to share the information about stroke, and stroke risk factors. We deliver presentations and talks with community groups raising awareness on stroke and risk factors of stroke. Q: Why is it so important for Pasifika families and communities to learn about stroke? A: It is very important for our Pacific communities to know about how to prevent the harm because our people are having strokes at younger age. This will have a huge impact financially and to family dynamics especially if the stroke survivor was the only person working in the family. Also by knowing the signs and taking action to call 111 this will really save a loved one’s life or from ending up with severe disability. Below are links to PDF posters of the FAST posters in Pacific languages. Our Community Resources directory also contains links to sources of stroke information in a variety of other languages.